Posted by CNC Reporter on Sep 23rd, 2013. **UPDATED POST** We’re adding more apps at the bottom! The title says it all, but dig deeper and the nice thing about this app is the ability to save your machine’s max RPM, max IPM and max HP. With this information stored, simply plug in some details about your cutter and the type of material you want to cut and the app figures out your starting figures for RPM, feedrate, radial and axial DoC and required HP. It’s up to you to verify and tweak the numbers for your application. Overall, very nice app. Here’s a link to the free version, but the pro version is definitely worth the $1.99. 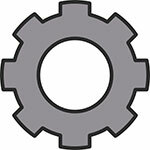 Simple and polished app that’s a great fit for new machinists. A built in help page gives a nice description of the different calculations and the actual formulas are displayed as you enter the numbers. Like other 1.0 versions, this one needs a little bit of polishing when it comes to navigation as the “next” button jumps to other unrelated fields. 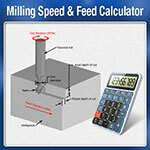 The developer is working on adding more calculations for milling. Still a good app that we wouldn’t turn anyone away from. Download it and see for yourself. The bottom line on this one… SO disappointing! 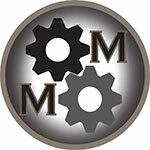 This app caught our eye because it was produced by the Society of Manufacturing Engineers, a respected organization that we thought would set the bar for other apps. The interface is ok and it has a handy materials reference page for finding the right surface feet per minute, but the only calculation in the turning section available is for… you guessed it… surface feet per minute. Redundantly worthless! The milling section also only lets you find inches per revolution. 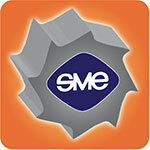 Shame on a good organization like the SME for releasing the worst app we found. Sorry, we’re not posting a download link for this one. Our faithful CNCReport.com reader named “John” turned us onto this app which is now the reigning champ. 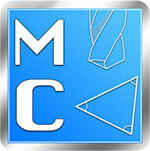 This app isn’t perfect, but carries all the tools a machinist would want. The one thing we wish it did was give a two way reference for drill sizes. As it is, you can only enter the drill letter or number to get the decimal equivalent but not the other way around. Grab this great app for FREE here. There is also one caled Fswizard. Full version is a bit pricey, but the free one is also good. TBH there all crap and none are worth the download, now if you had an apple iphone and search the app store you would find far better apps that meet most machining requaments. Speeds and feeds, PCD, angles, drilling and tapping sizes, and speeds and feeds for all taps not jist a few bastic. All this in 1 handy app for 99p. Android sort your sens out, your a let down comparing with iphone get a grip. 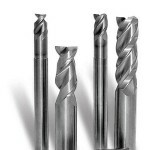 Check out Machining Mate, https://play.google.com/store/apps/details?id=com.techrds.machiningmate&hl=en. Lol really, there are still apple fanboys around. cute and sad at the same time. Dean: Jobs is dead. No use still trying to fillate him bro. Mike: Right on. Please remove the icon for Hobby Machinist Calculator. 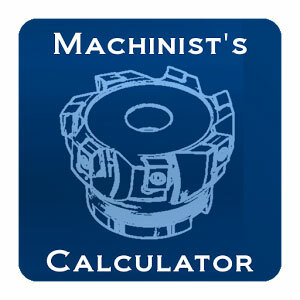 The software name “Machinist’s Calculator” has been copyrighted by CNC Consulting Inc. since 1999, and it is our contention that this icon is in contravention of that copyright.